Happy 50th birthday, Mr Glover! 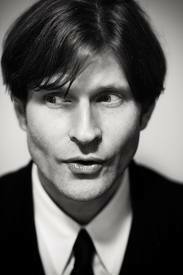 Il Moscardino wishes a very happy birthday to actor Crispin Glover. May all your dreams come true, Mr Glover! Reginald and Seamus stood about brushing themselves down while Sid pulled cactus spines out of his behind. 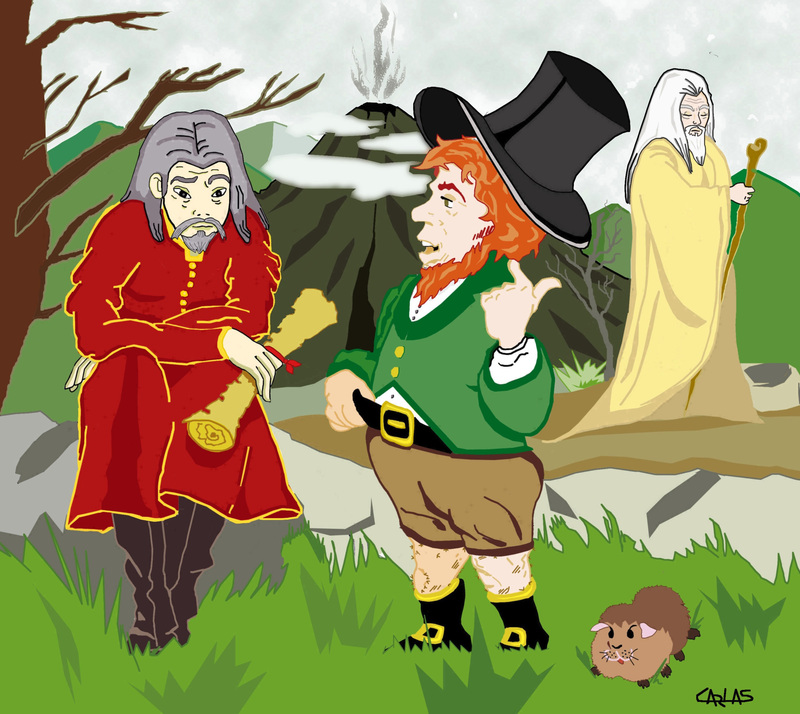 “Lucky we landed on something soft there, I’d say,” remarked Reginald as he handed the now reverted hat back to Seamus, who nodded in agreement. “That soft landing was me!” exclaimed Sid in a very exasperated voice. Barbara Masterton is now on ShowBooks with her latest novel Snapshot Smiles. Il Moscardino va su Facebook! Snapshot Smiles is the only eBook published by Il Moscardino in 2013. “She didn’t like being touched.” There was a long silence as if he were remembering many past instances of Maura Wenston’s peculiarities, which as a child he had found so distressing, then he added, “Or touching, either, unless it was to fuss about with herself. I used to long for her to stroke my eyebrows or my ear lobes, smooth my neck and arms. She wouldn’t even wash my hair when I was small, she used to push me under the soapy bath water with the tips of her fingers as if she were trying to drown a spider”. Evil can come in the shape of a little deprived boy. Out of pity and eagerness to help, you can take him into your life without noticing, at first, the damage that your good intentions have just set in motion… if only Aphelandra had spoken about what she knew and feared, maybe her family would still be happy, she would still have a brother and she would have spared all the suffering to her younger cousin Lillie: a lonely girl living in a far away boarding school in Dorset and whose parents are divorced. The only happiness Lillie can enjoy is the moments she spends with her cousins, uncle, aunt and grandmother during the holidays, when she can join them at Kupton Hall, their home in Minstrelford, Northumberland. Lillie is a lovely girl of thirteen, eager to please, when Oliver creeps into their lives. She is the perfect innocent creature upon whom evil would prey. Who could even imagine what hides behind the beaming smiles of four young people in an old photograph taken at Lillie’s birthday picnic by the lake on a late September afternoon! When Oliver was seven, he killed a cat. No, it wasn’t an accident. He pressed it to death. It took a long time. He had killed other things, of course, birds and mice, things like that, but they did not count, because they belonged to no one. You can do anything to things that have no owners. That is why he remembers the cat, because it did. It had belonged to Curtis’s sister. Curtis had been Oliver’s best friend, his only friend, except for Jim, who belongs to Oliver. Lillie belongs to Oliver as well, but she is not his friend, she is his wife. Lillie looks at Oliver. She looks at him when he is not looking at her, but Oliver knows that she is looking. He can feel her large eyes stroking the air between them, sad and reproachful, full of hidden dislike. She says she loves him, she repeats it when he makes her, yet she is scheming to run away. Where could she go that he would not find her? Oliver asks her and she shakes her head slowly, her eyes downcast, her delicate hands twisting together in her narrow lap. She does not know. Her unhappiness annoys him. Jim would comfort her with kisses, if he had the chance, but Oliver objects. She should put her arms around his neck and weep, not Jim’s. Lillie is beautiful, even in melancholy. She is tall and gracefully thin, with finely shaped hands and feet and a white neck licked by long, glossy curls. Oliver felt the need to possess her the first time he saw her, skipping towards him, a bright-eyed innocent child, eager to say hello. They had something in common. They had both been on the outside, looking in on an existence protected by custom and money. The difference between them then was that Oliver envied the privileged persons who had befriended him and smarted under his disadvantages; Lillie loved them and was grateful, contented with her lesser lot. Oliver is beautiful as well, with dark eyes that are brooding, some say expressively soulful, in a long, pale face that would suit a medieval saint. His hair is thicker and blacker than Lillie’s and his lips are pinker than hers when she is without lipstick, which is practically all the time now. She is always washing. She washes and bathes in an attempt to decontaminate herself, but she will never explain to him the cause of that contamination, which is all in her mind of course, only fix him with her impenetrable gaze and accuse without words until Oliver becomes angry. When she speaks, he listens, when she stares he goes mad. Speak to Oliver, Lillie. He knows you speak to Jim when he is absent and cease the moment he creeps upon you. You whisper in Jim’s ear the way you used to whisper in his when you made love. This makes him jealous. Oliver tries constantly to keep Lillie and Jim apart. They pretend they do not mind, but he sees the way they drift nearer one another as soon as they are in the same room. Lillie does not look at Jim, as if careless of his presence, but he is too simple to dissemble and his pleasure at the sight of her is all too obvious. Oliver spoils that pleasure with spite, reminding him curtly where his loyalty should lie. Lillie says nothing. She sighs, the slightest gust of sound, and slowly turns her head away to gaze at nothing. The dusty light from the high window falls on her hair and the long spirals gleam with copper tints. There was a time when Lillie talked a lot and laughed with a simple joy. She talked and Oliver listened. He was born listening. Now he hears things that he would rather not be told, voices from the past, reminding him of things he does not want to remember, but Lillie remains mostly quiet, as if she too is hearing those same voices, telling her some awful truths. For truth is awful. It always is. Not just for Oliver and Lillie, for everyone. To be happy one must shy away from truth’s harsh outline and recline on marshmallow billows of illusion. Truth is a weapon that wounds. Oliver wields it with discrimination and never to gouge his own sores. A very powerful story, and probably Barbara Masterton’s masterpiece! Il Moscardino augura un buon anno nuovo ai suoi affezionati lettori! What is your novel ‘The Heart of Sitnatia’ about? Well it’s a fantasy about a group of characters, all unrelated, on a journey for different reasons: some for greed, some for love, others for intrigue… all from different directions, finally realizing that they need each other to survive a treacherous island. We meet the Vendra, who are a lost civilization trying to reclaim their home, and it sets up the following two books, and yet each is an independent story. 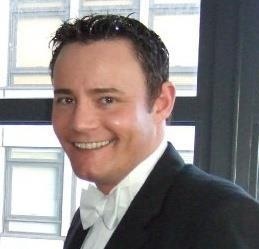 I have always enjoyed fantasy and I wanted to write a story which I could make as unpredictable as possible, and that adults would enjoy reading to their children, as much as the children would enjoy themselves just on a different level, also using characters who were all the different aspects of my own personality. Who are the primary readers of your book? Mainly teenagers, but I have had wonderful reviews from people in their forties, which is just what I was going for. This book is the first in a series and although it took about nine months to write. I had to go back and make changes right up to publishing, as I wanted it to cross-pollinate with the other two books which I am currently in the middle of. I wanted the title to be as mysterious as possible, and as the fictitious island which my characters are trying to get to is called Sitnatia, I felt that this would have to be part of the title, and the Heart was in reference to the temple at the Heart of the volcano towering the island. Trying not to run away with my thoughts. Staying in the moment is very difficult, as when you enter your own fantasy world you want to tell the story and your thoughts run off in all directions. It is a journey I want to share with my reader as if we were both there for the first time. Yes, I learnt that you are never done learning and you get better with every re-write; I value other people’s opinions and will always make changes to please readers before publishing, as after all it is about them and me making a connection through words. I would love to say thank you for allowing me to share my world with you all, and I hope that you will travel with me again: there is a lot more I want to show you, we are going to go deeper into ‘The Heart of Sitnatia’ and meet some strange and exciting characters together. That would be great… thank you, Adam! Barbara Masterton is now on Goodkindles with Cross Currents: “A novel with a refined and elegant style of narration, coupled with a sharp introspective portrait of its characters”. Il romanzo fantasy per ragazzi di Adam Biggs The Heart of Sitnatia viene presentato sul sito di MyBook.